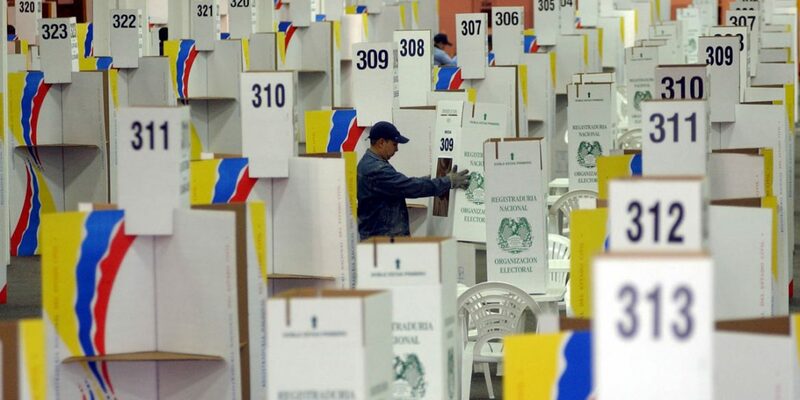 A corruption ring within Colombia’s electoral authority could have altered as many as 20% of the votes that were cast in recent legislative elections, according to a think tank. Fundacion Paz y Reconciliacion (Pares) said Monday that evidence seemed to confirm sources who had told investigators that a major corruption network had been selling bulks of votes to candidates. According to Pares, candidates were able to buy packages of 2,000 votes for prices between $400,000 and $600,000. If a candidate wanted more votes “the cost would go up” to $1 million. In its report, the think tank provided copies of voter forms indicating that some candidates benefited from what could be altered results of dozens of polling stations. This would involve an extensive network made up of officials and former officials of the Registrar’s Office, lawyers and jurors, who have privileged access to the electoral system or have found weaknesses in it. The MOE, the think tank dedicated to monitoring elections, did not confirm the findings of the Pares report. The organization last month criticized the National Registry’s lack of transparency in the vote-counting process. Galinde admitted that reforms to strengthen elections were necessary, but discarded the report. “It is suspicious that this report based in indications and suppositions is made public two weeks before the presidential elections,” the registrar said. The National Electoral Council announced a few days ago that it would allow foreign electoral observers to monitor the vote-counting process that has proven to be vulnerable to corruption. The State Council said earlier this year that fraud in the 2014 congressional elections had effectively removed an entire political party from the Senate. The Evangelical MIRA party was returned her three seats after the court found that hundreds of thousands of votes had disappeared. The national registry failed to report the mass fraud in 2014. Galinde did not say whether he would investigate the alleged mass fraud in the March elections.